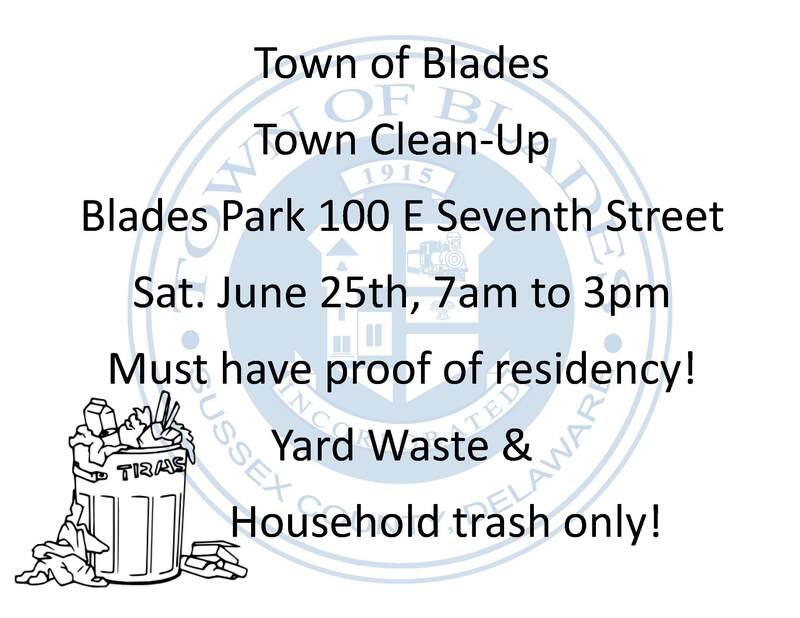 Saturday, June 25th from 7am to 3pm at Blades Park 100 E Seventh Street, the town will have a roll-off dumpster for yard waste and one for household waste. Items NOT ALLOWED: Appliances, TV’s, Computers, Chemicals, Motor Oil, Paint, Tires. 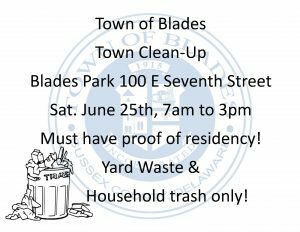 You must provide identification that you are a resident of the Town of Blades! Any questions please call 302-629-7366.